The Minister of Information and Culture, Alhaji Lai Mohammed, said the scenario which brought in Aminu Tambuwal as Speaker of the House of Representatives in the seventh National Assembly against the wish of the then ruling party is different from the way Dr. Bukola Saraki emerged as Senate president in 2015. Tambuwal, who is now the Governor of Sokoto State, it would be recalled, emerged Speaker of the Lower House, against the zoning principle of the then ruling party, the Peoples Democratic Party (PDP) which favoured the former House Leader, Mulikat Adeola-Akande as Speaker. With the support of the then opposition Action Congress of Nigeria (ACN), Tambuwal emerged as speaker. He later in 2014 dumped the PDP for the newly formed All Progressives Congress (APC). Following the defection of the Senate president to PDP alongside other senators, there have been calls for the resignation of Saraki having left the APC, on which platform he emerged senator and eventually Senate president. Answering questions from newsmen in Lagos, at the weekend, on what is perceived as a re-enactment of the Tambuwal saga which the then ACN supported in 2011, Mohammed said the Saraki’s scenario is completely different from the 2011 saga. The minister also insisted that unlike Saraki who offered the opposition party the deputy Senate president position with the election of Senator Ike Ekweremadu, Tambuwal did not destroy his party by trading away the deputy speaker’s position. 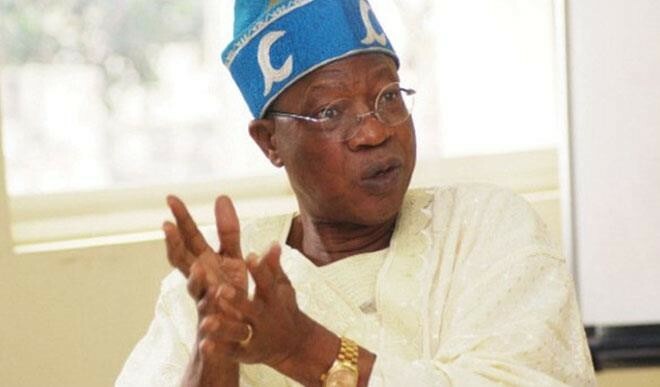 What Saraki did, according to Lai Mohammed, was to put the APC leadership and the government in a difficult corner by ensuring that any attempt to impeach him would be tantamount to making an opposition senator in person of Ekweremadu the Senate president. He reiterated that the problem of APC and the government started the day Saraki entered into an alliance with PDP senators to emerge Senate president.